The research catalog includes all the books in the Main and German American Collections and approximately 95% of the pamphlets. Records for many manuscript collections include links to detailed finding aids. A newly updated Research Guide is available as a searchable PDF. 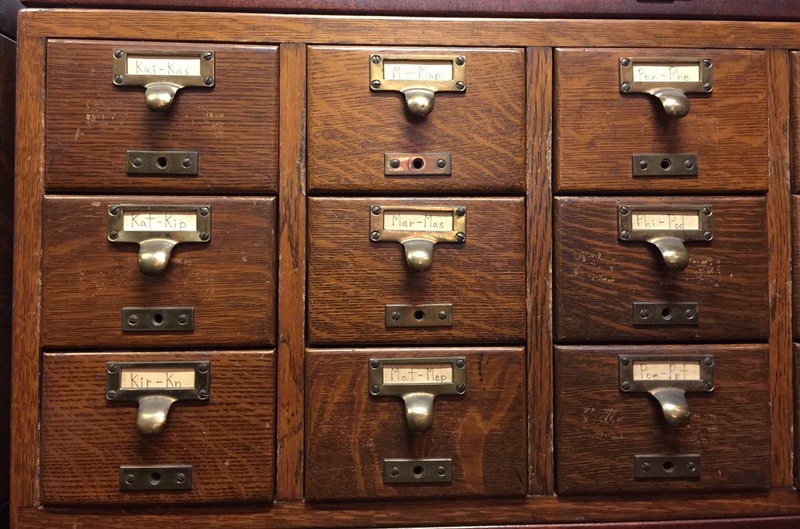 The Research Guide contains an overview of the library collections and provides access to uncataloged items through complete inventories of uncataloged pamphlets, manuscripts and periodicals. To search the Research Guide for specific keywords, click Control + F to obtain a search box. The majority of the manuscript collections of the German Society of Pennsylvania document the rich and diverse history of German-American associational life. The German Society's own institutional records tell the story of the Society's charitable and cultural activities over a period of nearly two and a half centuries. Other manuscript collections include the records of a spectrum of other German-American organizations, especially in Pennsylvania, and concentrated in the period from the mid 19th through the early 20th century. Also represented are manuscript collections relating to both prominent and lesser-known German-American individuals, some of which include original writings and unpublished memoirs; correspondence; family documents; and scrapbooks of clippings and memorabilia. Finding aids for processed manuscript collections are hosted through the Philadelphia Area Consortium of Special Collections Libraries (PACSCL). We also encourage you to contact the Genealogical Society of Pennsylvania, as well as other Philadelphia libraries and archives for your research. Please check our list of Genealogical Resources located elsewhere. The Horner Lending Library contains reading material for adults and children alike. Over 1000 children's books are available for members to borrow. In addition to author and title, the catalog can be searched by free text 'tag" such as: Board Books, Christmas, Songs, Activities, etc. Works of German literature aimed at adults, comprised primarily of fiction and biographies, are currently being added to the catalog. Search the Lending Library Catalog here.